Beowulf Boritt is currently represented on Broadway by Sankoff & Hein's Come From Away directed by Chris Ashley and Iconis and Tracz's Be More Chill directed by Stephen Brackett. 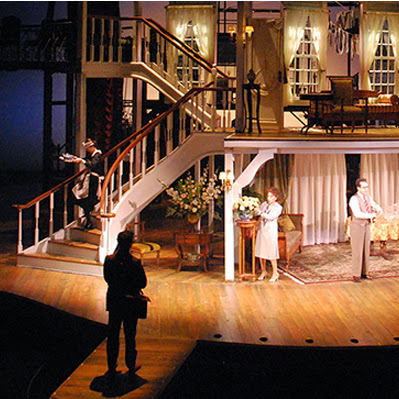 He designed the Tony Award® winning set for James Lapine's Act One. He has also received Tony Award® nominations for his designs for Evan Cabnet's production of Therese Raquin and Susan Stroman's production of Kander & Ebb’s The Scottsboro Boys. He designed David Thompson's Prince of Broadway and also Alfred Uhry’s LoveMusik on Broadway for Harold Prince. He designed Stephen Sondheim and James Lapine’s Sondheim on Sondheim and Finn & Sheinkin's The Twenty-Fifth Annual Putnam County Spelling Bee both directed by Mr. Lapine. He designed Steve Martin's Meteor Shower directed by Jerry Zaks and Menken, Slater and Palminteri's A Bronx Tale co-directed by Robert DeNiro and Mr. Zaks. Other Broadway shows include the New York and Russian productions of Chaplin for director Warren Carlyle, John Rando's revival of On The Town, Hand To God directed by Moritz Von Stuelpnagel, and the long running Broadway and international hit Rock of Ages directed by Kristen Hanggi. 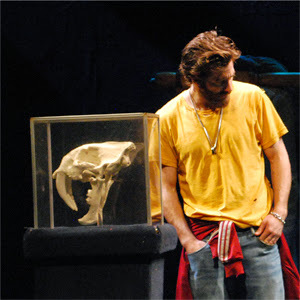 He and his work have been called "feverishly inventive" (New York Times), "Visionary" (Playbill), "miraculous" (New Yorker) and "a genius guy who does crazy sets." (Mel Brooks). Off-Broadway, he has designed over one hundred shows, including the current Fiddler On The Roof (in Yiddish) directed by Joel Grey, the original production of Jason Robert Brown’s The Last Five Years for director Daisy Prince, Mike Birbiglia's The New One, Sleepwalk With Me, My Girlfriend's Boyfriend, and Thank God For Jokes for Seth Barrish, and Strindberg’s Miss Julie for director Scott Schwartz. He has designed scenery for Lincoln Center Theater,The Roundabout Theatre Company, Manhattan Theatre Club, Second Stage, The Public Theatre, The Vineyard Theatre, Manhattan Class Company, Primary Stages, The Pearl Theatre, Keen Company, Red Bull, and The New Group. His work has been seen in Europe, Asia, and Australia. Across the United States he has designed for The Guthrie Theatre in Minneapolis, The American Conservatory Theatre in San Francisco, La Jolla Playhouse and the Old Globe in San Diego, Trinity Repertory Company in Providence, The Kennedy Center, Ford's Theatre and The Signature Theatre in Washington, D.C., The McCarter Theatre in Princeton, N.J., The Alliance Theatre in Atlanta, The Ahmanson Theater, The Mark Taper Forum, and The Geffen Playhouse in Los Angeles, The Huntington Theatre and The American Repertory Theatre in Boston, The Alley Theater in Houston, The Goodspeed Opera House in Connecticut, The Ogunquit Playhouse in Maine, The Pittsburgh Public Theatre, Hartford Stage, The Philadelphia Theatre Company, The Dallas Theatre Center, Seattle Repertory Theatre, The Cleveland Playhouse, Saint Louis Repertory Theatre, The Cincinatti Playhouse, The Delaware Theatre Company, The Utah Shakespeare Festival and many others. 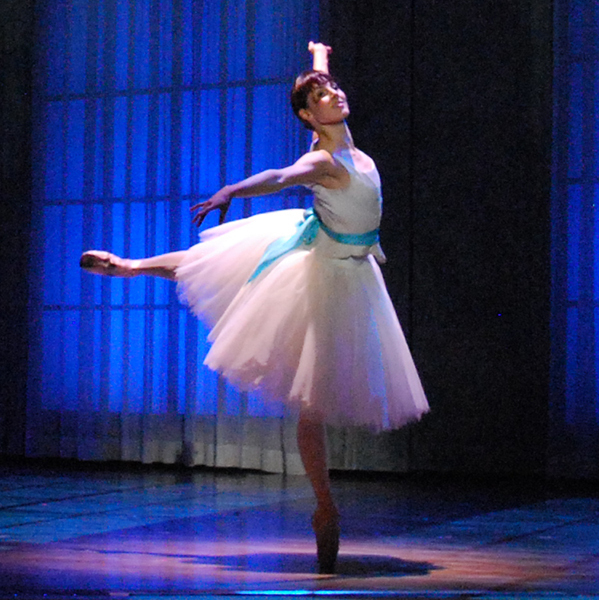 He designed Warren Carlyle's 2018 production of Jerome Robbins: Something To Dance About and Lynne Taylor Corbett’s 2011 production of the Brecht/Weill Seven Deadly Sins for the New York City Ballet. He has twice designed the scenery for The Ringling Brothers and Barnum & Bailey Circus. He recently appeared in a commercial for Microsoft. In addition to a Tony Award, Beowulf has been honored with a Live Design Award for Innovation in Scenic Design, an Audelco Award, a Barrymore award, and a St. Louis Theater Circle Award for his designs. He has received nominations for four Drama Desk Awards, three Lucille Lortel Awards, three NY Outer Critic's Circle Awards, an LA Ovation Award, an LA NAACP Award, a San Francisco Critic's Circle Award and six Henry Hewes Awards. 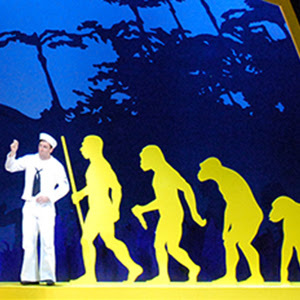 In 2007, he was honored with an OBIE Award for Sustained Excellence in Set Design.